It is getting to be time to think about back to school! Helping your child be successful this year can be as simple as helping them to be more organized. As a former teacher, I know that many children do not understand how to have their desk arranged, their tools in order and all ready for the task ahead. Too many children spend the better part of every lesson in search of a paper, book or pencil that they need for the class. Of course, then they miss vital instruction and become frustrated as they try to complete activities for which they haven't absorbed the information they need. You can help your children avoid this by actually teaching them how to organize their school belongings. An important tool for this task is a pencil box to hold their pens, pencils and erasers, pencil crayons and markers. Did you know that a Stampin' Up! 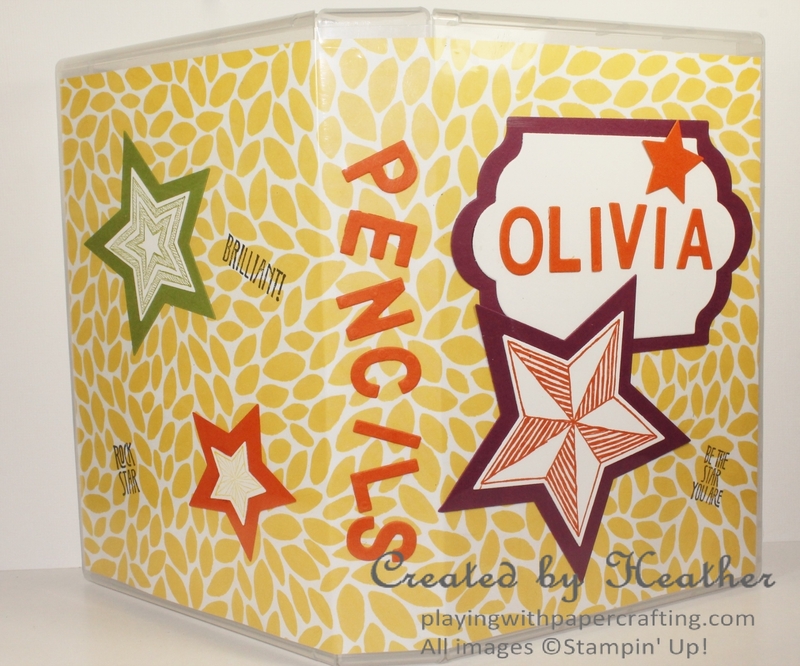 Wood Mount Stamp Case is just the right size for this job and you and your child could work on personalizing it so that your child is excited to use it. 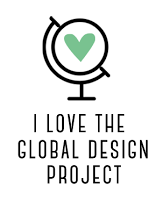 Now, mind you, I'm a fine one to talk about a messy desk, because as soon as I'm finished this blog post, I need to go into my Craft Cave and bring order to the creating chaos that has built up over this past week!! So I understand how the kids lose sight of this. But I also know that having a place for everything and everything in its place is vital. So let's take a look at how to make a personalized pencil case courtesy of Stampin' Up! Each of these Wide Stamp Cases has a sleeve on the outside into which you can slide an embellished piece of paper which will give you the personalized look. The case is 7 1/2" x 5 1/2" x 1 1/4", so it's big enough to handle pencils, pens and pencil crayons and markers. 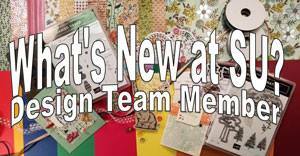 I chose a piece of the new Into the Woods Designer Series Paper available Sept. 1 from the new 2015 Holiday catalogue for its fall colours and themes, but any Designer series paper or cardstock would do. 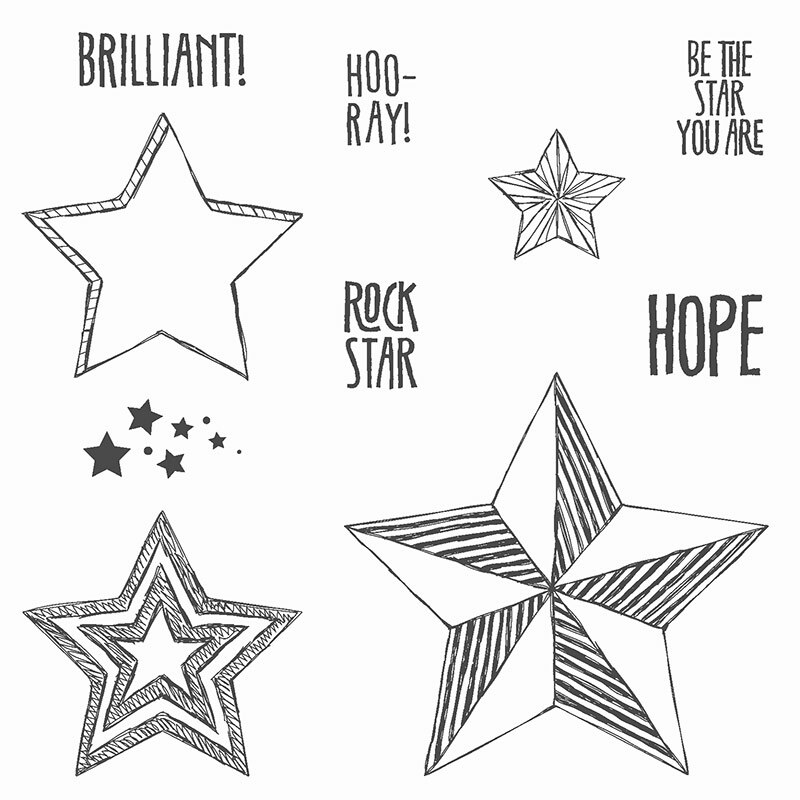 Choose one that your child particularly likes but not a really busy pattern. The School House Designer Series Paper from the Annual Catalogue is available right now and would be appropriate as well. Cut a piece of paper 6 15/16" x ll 3/8" to fit inside the sleeve of the case. 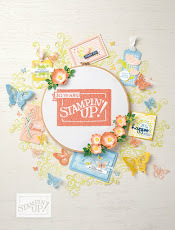 Then, using the colour scheme of the DSP series, stamp, die cut and add some embellishments. 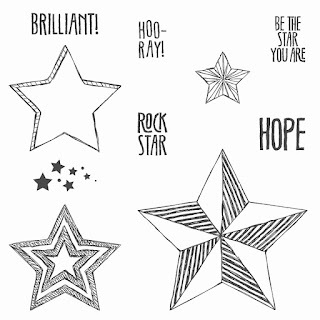 I used the stamp set, Be the Star, because it has great encouraging sentiments and images that you can stamp and die cut with the coordinating Stars Framelits, for ease of assembly. I used some of the sentiments and stamped them in Memento Tuxedo Black Ink right on the design paper, and stamped and die cut the images to add on. I backed the images with cardstock cut with the next largest Star Framelit to add emphasis and I also used the Medium Star Punch to create an extra star for the name plate. 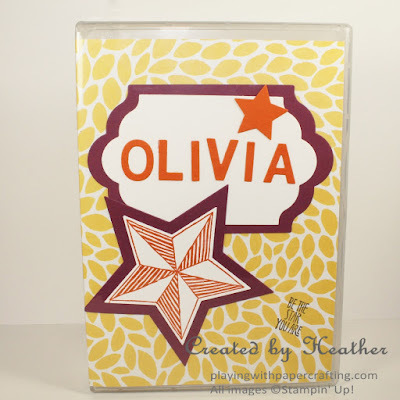 The name plate is die cut using the Lots of Labels Framelits on Whisper White and backed with a coordinating colour from the Designer Series Paper palette. The child's name is die cut using the Little Letters Thinlits, as well as the word Pencils on the spine of the case. If you live in my area, register today for my Mom & Me class this coming Saturday from 1 - 3 pm. Are you a fan of the Minions? 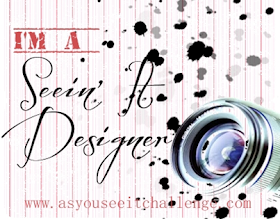 Join me tomorrow for a new look for one of them!